Hugh Hogg Beatty was the second son of John Beatty. Hugh was born on 1st July 1879 in Dungannon, County Tyrone. John Beatty was a long standing member of Dungannon Urban Council. The 1910 Ulster Towns Directory lists him as china warehouse, cabinetmaker, and general house furnisher, Irish street and Union place, Dungannon. Hugh attended Dungannon Royal School from 1893 to 1897. He was a keen rugby player. As well as the school, he played for Dungannon Rugby Club. The 1901 census records Hugh as 21 and unmarried. He is living at Irish St. Dungannon. He was a Furniture Merchant. The 1911 census shows he was living in The Hayes in Cardiff. He was working as a drapery salesman for Morgan & Co Drapers. On the outbreak of war, this officer, Hugh Beatty organised a platoon and volunteered with them in the Cardiff Commercial Battalion of the Royal Welsh Regiment, being at once promoted Sergeant. No 14794. After the formation of the Ulster Division, he applied for and obtained a commission in the Royal Irish Rifles on 15th March 1915. 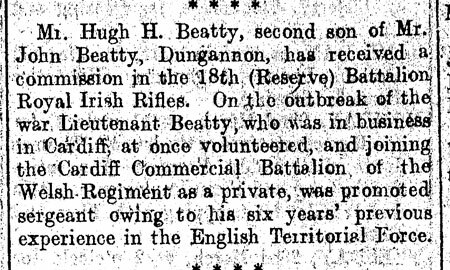 Mr. Hugh H. Beatty, second son of Mr. John Beatty, Dungannon, has received a commission in the 18th (Reserve) Battalion Royal Irish Rifles. On the outbreak of the war, Lieutenant Beatty who was in business in Cardiff at once volunteered, and joining the Commercial Battalion, of the Welsh Regiment as a private, was promoted sergeant, owing to his six years previous experience in the English Territorial Force. 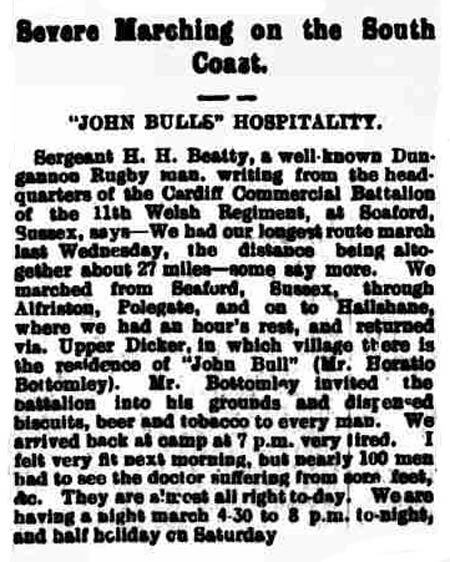 Second Lieutenant Hugh H Beatty, who has received a commission in the 18th Battalion Royal Irish Rifles, is the second son of Mr John Beatty, Urban District Council (U.D.C. ), Dungannon, and brother of Dr R T Beatty, Lecturer in Experimental Physics, Queens University, Belfast. He is an old Royal Dungannon School boy, and was a notable Dungannon rugby forward. 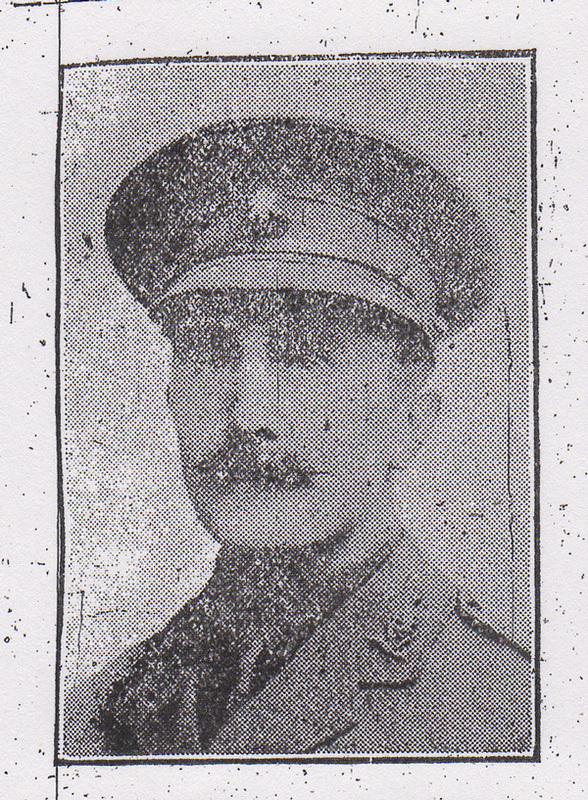 On the outbreak of war Lieutenant Beatty, who was in business in Cardiff, at once volunteered, and joining the Cardiff Commercial Battalion of the Welsh Regiment as a private, was promptly promoted sergeant owing to his previous six years’ experience in the English Territorial Force. He will be stationed in Holywood. Second Lieutenant H H Beatty, Dungannon, has been attached to the 12th Battalion Royal Irish Rifles, and will be stationed at Newtownards. Lieutenant Hugh H Beatty, Irish Rifles, who has been gazetted to that rank with seniority from 1st March last, is the second son of Mr John Beatty, Urban District Council (U.D.C. ), Dungannon. He is now at the front. 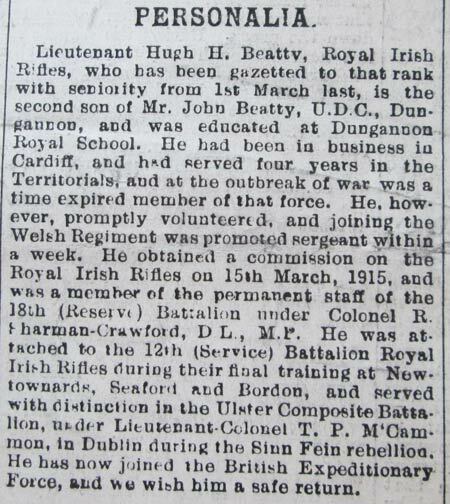 Lieutenant Hugh H Beatty, Royal Irish Rifles, who has been gazetted to that rank with seniority from 1st March last, is the second son of Mr John Beatty, Urban District Council, Dungannon, and was educated at Dungannon Royal School. He has been in business in Cardiff, and had served four years in the Territorials, and at the outbreak of war was a time expired member of that force. He, however, promptly volunteered, and joining the Welsh Regiment was promoted Sergeant within a week. He obtained a commission on the Royal Irish Rifles on 15th March 1915, and was a member of the personal staff of the 18th (Reserve) Battalion under Colonel R Sharman-Crawford, D.L., M.P. He was attached to the 12th (Service) Battalion Royal Irish Rifles during their final training at Newtownards, Seaford and Bordon, and served with distinction in the Ulster Composite Battalion under Lieutenant Colonel T P McCammon, in Dublin during the Sinn Fein rebellion. He has now joined the British Expeditionary Force, and we wish him a safe return. 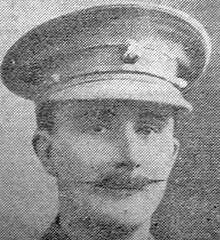 Among the officers home on short leave this week was Lieutenant Hugh H Beatty, Dungannon, who has been in the trenches since August last. The hard life in the trenches, varied by periodic rests, seems to agree with him for he is in the pink of condition, and has added weight. Hugh became Captain and obtained his company on 19th February 1917. 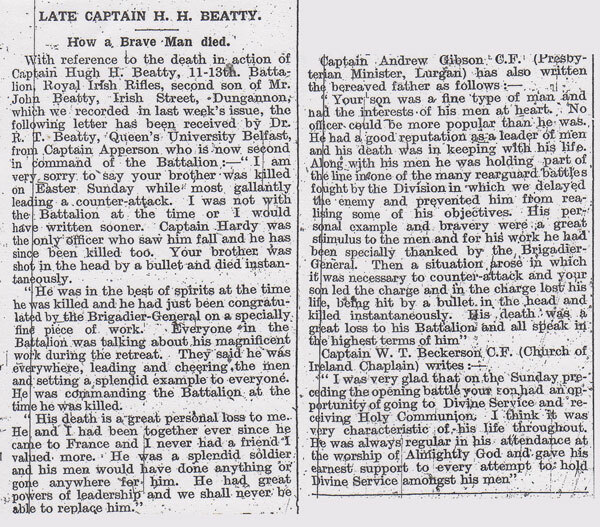 The undermentioned to be acting captains while commanding a company:- Temporary Lieutenant H H Beatty, 19th February. Captain Hugh Beatty took part in the capture of Messines in June 1917. Lieutenant H H Beatty, Dungannon is gazetted Captain in the 13th Battalion Royal Irish Rifles with seniority from 23rd February 1917. Captain Beatty was thrice wounded during the third battle of Ypres on 16th August 1917, he remained at his post until relieved. 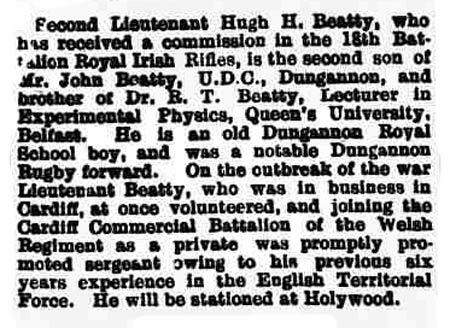 Captain Hugh Hogg Beatty, Royal Irish Rifles, wounded on 16th August, is the second son of Mr John Beatty, Dungannon, and brother Dr R T Beatty, Queens University, Belfast. He was in business in Cardiff, and joined the Commercial Battalion of the Welsh Regiment, from which he received a commission in the division. He was eighteen months at the front and was promoted Captain in February 1917. In early 1918 along with other members of his disbanded battalion, he was transferred to the 22nd Entrenching Regiment. On the death in action of his commanding officer Colonel Blair Oliphant on 28th March 1918, Captain Beatty succeeded to the command of the Battalion but was himself killed three days later. Captain Hugh Hogg Beatty was with the 22nd Entrenching Battalion, late 11th/13th Battalion, of the Royal Irish Rifles when he was killed in action in France on 31st March 1918. Reports suggest that the manner of death and the whereabouts of his grave were unknown. 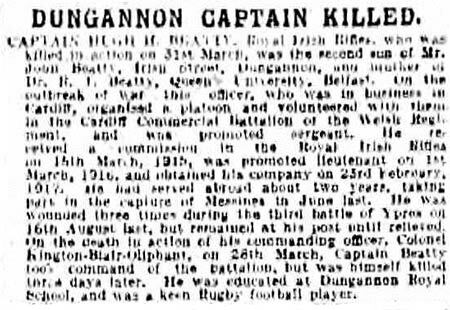 Captain Hugh Hogg Beatty, Royal Irish Rifles, who was killed in action on 31st March 1918, was the second son of John Beatty, Irish Street, Dungannon and brother of Dr R T Beatty, lecturer in Queens University, Belfast. On the outbreak of war, this officer, this officer who was in business in Cardiff, organised a platoon and volunteered with them in the Cardiff Commercial Battalion of the Welsh Regiment, and was promoted Sergeant. He received a commission in the Royal Irish Rifles on 15th March 1915, was promoted Lieutenant on 1st March 1916, and obtained his company on 23rd February 1917. He had served abroad about two years, taking part in the capture of Messines in June last. He was wounded three times during the third battle of Ypres on 16th August 1917, but remained at his post until relieved. On the death in action of his commanding officer Colonel Kington Blair Oliphant on 28th March, Captain Beatty took command of the Battalion, but was himself killed three days later. He was educated at Dungannon Royal School and was a keen rugby football player. Captain Hugh Hogg Beatty, Royal Irish Rifles, who was killed in action on 31st March 1918, was the second son of John Beatty, Irish Street, Dungannon and brother of Dr R T Beatty, lecturer in Queens' University, Belfast. On the outbreak of war, this officer, this officer who was then in business in Cardiff, organized a platoon and volunteered with them in the Cardiff Commercial Battalion of the Royal Welsh Regiment, being at once promoted Sergeant. After the formation of the Ulster Division, he applied for and obtained a commission in the Royal Irish Rifles on 15th March 1915, was promoted Lieutenant on 1st March 1916, and obtained his company on 23rd February 1917. He had served abroad almost two years , taking part in the capture of Messines in June last, and although thrice wounded during the third battle of Ypres on 16th August 1917, he remained at his post until relieved. On the death in action of his commanding officer Colonel Blair Oliphant on 28th March 1918, Captain Beatty succeeded to the command of the Battalion but was himself killed three days later. He was educated at Dungannon Royal School and was a keen rugby player. 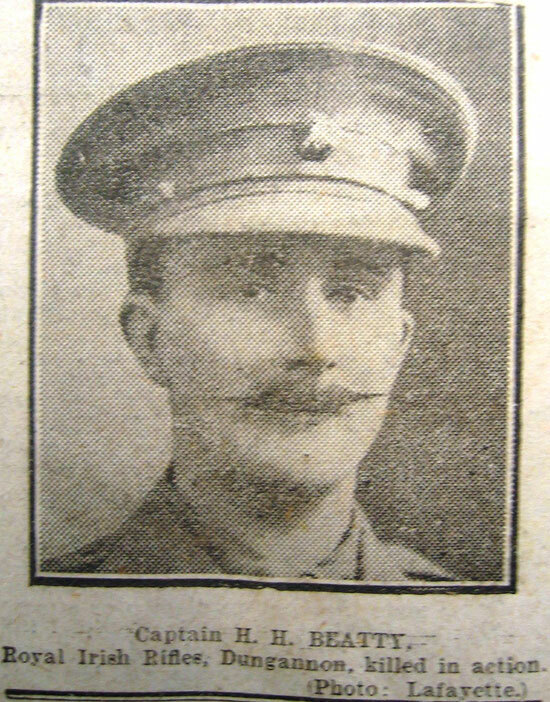 At Monday's meeting of the Dungannon Urban Council, Mr Skeffington said he understood that a long standing member of the council in the person of Mr Beatty had received official intimation that his son Captain Hugh H Beatty had lost his life in the extraordinary and tremendous war that is raging on the continent of Europe. No matter what might be their individual feelings about other matters either political or about the war itself, when a man fell fighting in a cause he must be convinced that according to his conscience, it was a just cause. When death came home as a result of that, for the time being all feelings of politics and other matters subsided and the whole feeling became one of universal sympathy for the bereaved family. Mr John Beatty (however they may have disagreed on other matters), had been a long and faithful member of the council and on many occasions when lives associated with Catholic circles in the town had been lost on the same fields as his son, he was most generous in his tributes to the gallantry of the men who fell and was full of sympathy for the sorrowing families. In this case as in all other circumstances were particularly sad, because Mr Beatty had lost his son who was a promising man. The fallen officer had not nor has his friends the advantage of being near him in the end. He had died as the others had died, on the field of battle and for a cause in which he must have believed. He had not the consolation of having his friends with him and up to the present, even the manner of death and the whereabouts of his grave were unknown. That made all the circumstances particularly and peculiarly sad and for that reason, a feeling of genuine sorrow and sympathy animated every member and they would be wanting in their gratitude if they did not give expression to their feelings. Concluding, Mr Skeffington moved that the clerk be instructed to tender to Mr Beatty and family the council's feelings of heartfelt sympathy on the great loss which they had sustained. Colonel Brown seconding said that almost the same time he had lost a nephew and he could sincerely sympathise with Mr Beatty. Mr Quinn, speaking as one who had been obliged to accept sad news of similar character, desired to be associated with the vote of sympathy. 'No one, he said, except those who had someone fallen in the war, could realise the shock which such sad tidings brought. The motion on being put to the meeting was passed in silence. The chairman said that since their last meeting, three of their delegates had lost their sons at the front, and he moved that a resolution of sympathy be adopted and forwarded to Messrs John Beatty, Dungannon; Leonard Stephenson, Curr, and Thomas A McReynolds, R.D.C., Edernagh, Ardtrea. The resolution was passed in silence. 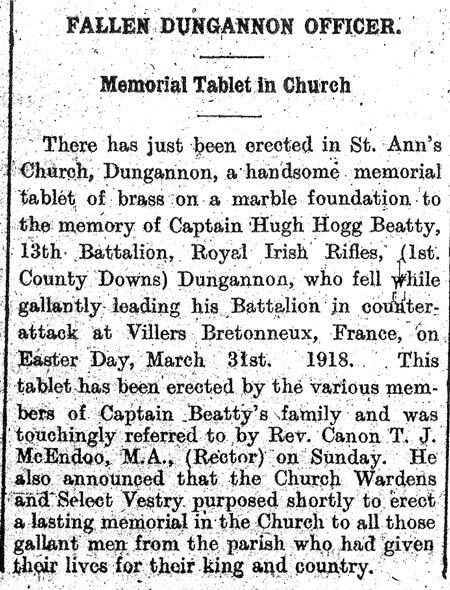 There has just been erected in St Ann's Church Dungannon, a handsome memorial tablet of brass on a marble foundation to the memory of Captain Hugh Hogg Beatty, 13th Battalion, Royal Irish Rifles, (1st County Downs) Dungannon, who fell while gallantly leading his Battalion in counter-attack at Villers Brentonneux, France, on Easter Day, 31st March 1918. This tablet has been erected by various members of Captain Beatty's family and was touchingly referred to by Rev Canon T J McEndoo, M.A., (Rector) on Sunday. He also announced that the Church Wardens and Select Vestry purposed shortly to erect a lasting memorial in the Church to all those gallant men from the parish who had given their lives for their king and country. Captain Hogg is commemorated on a plaque in St Anne's Church, Dungannon. Hugh Hogg Beatty was a brother of Dr R T Beatty, a lecturer at Queen's University, Belfast. 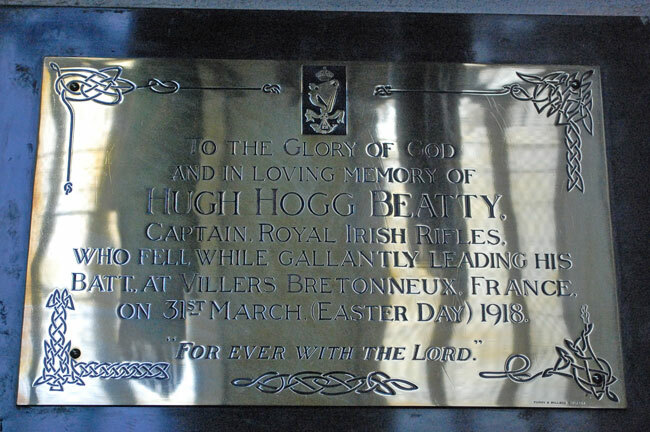 Captain Hugh Hogg Beatty has no known grave and is commemorated on the Pozieres Memorial in France.